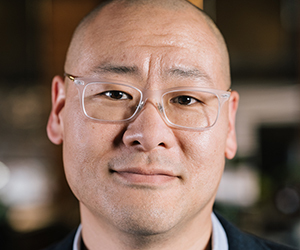 Wallace House is pleased to announce the addition of Dug Song, vice president and general manager of Duo Security, to our Executive Board. 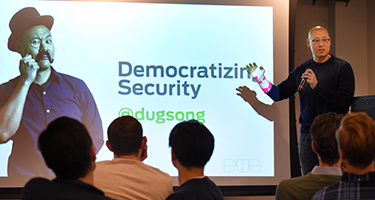 An innovator and leading voice in cybersecurity, Song founded the Ann Arbor based company, Duo Security, in 2010. Duo now protects the data and information of more than 14,000 organizations. Last year, Cisco bought the company for $2.35 billion, the largest acquisition ever for a Michigan-based software company. Song has a history of building successful products and companies to solve pressing security problems. Prior to launching Duo, Song spent seven years as founding Chief Security Architect at Arbor Networks, protecting 80 percent of the world’s Internet service providers. Song is the newest member of the Executive Board, which was formed in Fall 2018 to provide strategic support and guidance in developing new initiatives for the Knight-Wallace Fellowships, the Livingston Awards and the Wallace House Presents event series. Comprised of acclaimed journalists, innovators and accomplished University of Michigan faculty, the board will play an active role in leading Wallace House through a period of growth and expanded vision to support the careers of journalists and uphold the role of a free press in a functional democracy. Lynette Clemetson, director of Wallace House, chairs the board. Read more on the Executive Board members and their bios.